The Bozburun peninsula is a step a back in time amidst spectacular surroundings. It has rugged mountains, fertile valleys, forests, beautiful bays, islands, and an ancient heritage that flourished leaving sites, temples, and fortifications. Fortunately it is beyond the reach of mass tourism....the villages, ports, and bays are left for those who are lucky enough to have discovered this special area. 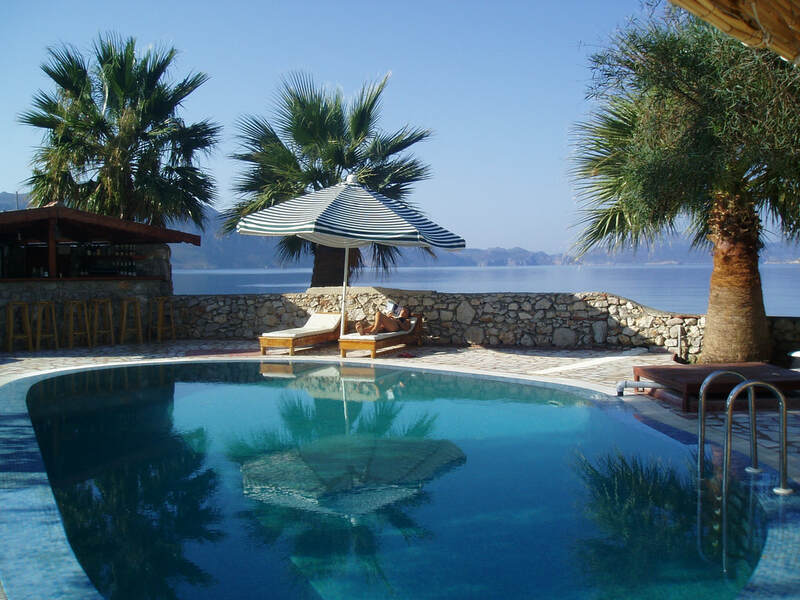 Nestled at the heart is "Villa Julia" which enjoys remarkable tranquility, a sandy beach, and a fantastic outlook. 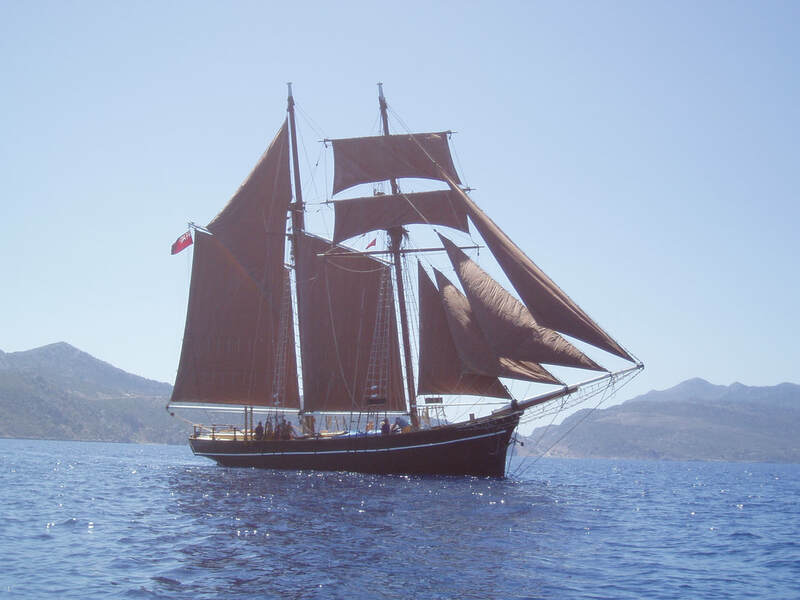 "Rhea" is based here with superb cruising grounds right on her doorstep ..... the Bozburun, Datca, and Bodrum Peninsulas of Turkey, and the Dodecanese Greek islands, let alone further afield for longer trips.